It can be tricky to find the perfect Mother’s Day gift. After all, how do you find a gift that is truly worthy of the woman who literally gave you everything? When it comes to this special day, my rule of thumb is to look for indulgent items gifts that she wouldn’t normally get herself – case in point, a luxury bubble bath or a special piece of jewelry. Practicality isn’t a part of the equation here, it’s all about pampering and treating your mom to something special, whether it’s a carefully chosen item or a luxurious experience. Here are a few options that I came up. Show a little bit of sparkly love with this sweet charm bracelet. After all, any occasion is made special with a touch of Tiffany blue! Sure, this candle is a bit of a splurge but your mama is worth every penny and more. And so is this sweet, powdery aroma of violet, iris, and cedar. The only thing that can make a hot bath more indulgent? This luxurious body oil. Scented with neroli, rose, and sandalwood, it smells absolutely divine. Sweeten up her morning coffee with this cute coffee cup! The white and gold colour combo is almost as lovely as the sentiment. Silk scarves instantly add class and polish to an outfit. Whether she prefers to wear it around her neck (classic), in her hair, or tied around the handle of her handbag, she is sure to adore this springy floral print. Though it feels lighter than air, this deeply hydrating mask is packed with moisturizing super ingredients like hyaluronic acid, sea kelp, and algae. It’s like a spa appointment in a jar. Much like flowers, chocolate is a classic choice when it comes to a Mother’s Day gift. That being said, this gourmet bar is anything but a cliche, and is so chic that it’s almost sad to eat it! The elegant earl grey tea and bergamot flavor is just far too good to resist. With Father’s Day exactly a week away, many of us will be out there scrambling to find last minute gifts or coming up with last minute plans for Dad. Personally I have always found it easier to shop for my mom than my dad, likely because my mom and I have the exact same obsessions with dainty jewelry and loose leaf tea. Nonetheless, my dad is one of the most important people in my life and one of the people that I admire and respect the most and therefore finding ways to treat my dad is important to me. My dad is the most hardworking human being I know with an unreal amount of drive and even more integrity. He lives a busy life and works in an incredibly fast-paced job under a great deal of pressure so when it comes to getting him gifts, I would try to think of things that can create or enhance his relaxation on the few occasions when he does get to sit back and unwind. 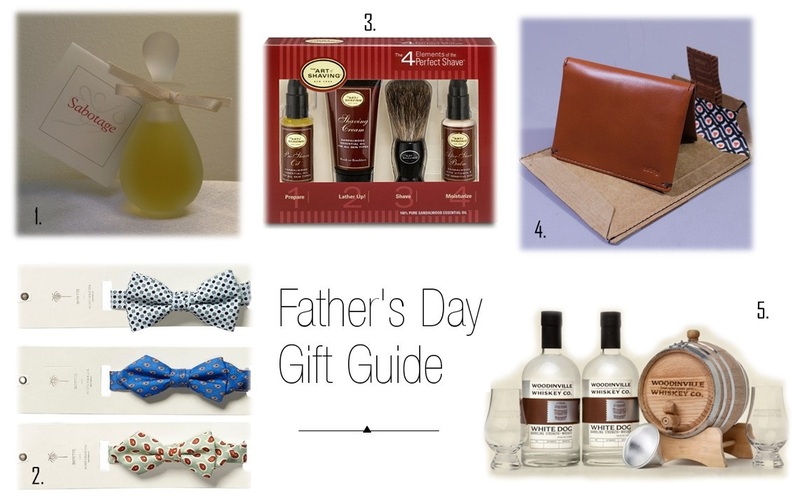 Indulgent gifts like cologne, silk ties or luxury shaving kits are also good gifts for Father’s Day because they are treats that they wouldn’t normally get for themselves. With this in mind I have put together a list of five indulgent, relaxation-enhancing father’s day gifts to make your search a little bit easier and your dad’s day a little more luxe. Vancouver-based perfumer Ayala Moriel is more than just a creator of all natural perfumes, she is a true artist. With an extensive collection of fragrances, body care and home products, and even a book under her belt, Ayala’s fragrances do more than smell nice, they take the wearer on a journey and are almost more like songs than scents with each note unfolding to reveal the next part of the olfactory story. 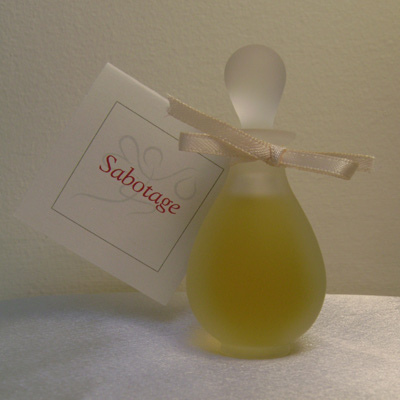 Sabotage is a spicy yet fresh scent with an earthy base of vetiver and tobacco combining with pimento berry, orange flower, lemon and green peppercorn. I would choose Sabotage for my dad because the smell reminds me of Portugal (the grassy hills, fragrant flowers and spicy, pimento laden cooking), which is where my dad’s family is from. More than that though, Sabotage is a cooling and refreshing summer fragrance with an air of classic masculinity that is timeless and season-less. Scotch and Soda has a knack for creating clothing and accessories for men with just the right ratio of quirky and elegant. Hailing from Amsterdam, Scotch and Soda’s pieces are always beautifully crafted out of premium fabrics. Unique, playful prints combined with razor-sharp cuts and classic shapes define the brand’s signature style. 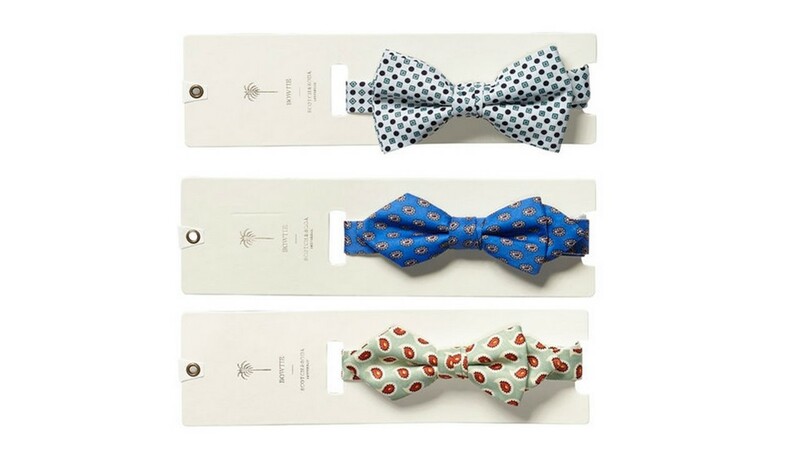 At only $25 each, these silk bow-ties are a fun way to incorporate Scotch and Soda into your dad’s weekly office attire in a subtle way without breaking the bank. Shaving is a chore that your dad likely either avoids or does so grudgingly. Any time there is an opportunity to take something mundane and make it more pleasant and even luxurious, I am all for it. It is the little things in life that matter and if we can enhance the boring parts of our day and make them special, we should. 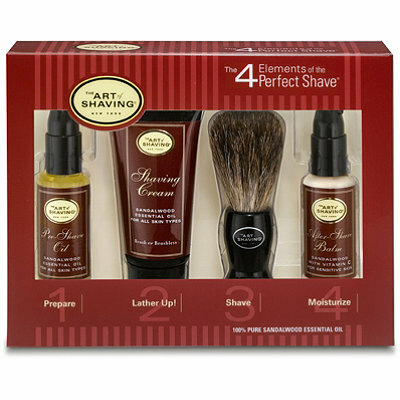 This 4-piece set from The Art of Shaving is subtly scented with sandalwood (an essential oil that is known for its soothing and antibacterial properties) and has an old-fashioned, John Wayne inspired aesthetic that will likely appeal to dad. I have always thought that there was something so cool and artistic about making one’s own wine or spirits. My grandfather on my dad’s side has been making wine for decades and it is undeniable that homemade liquor has its one inimitable flavor. While there are lots of different kits out there to choose, depending on your dad’s choice of poison, this Whiskey making kit from Woodinville Whiskey Co. comes with everything one would need to start making their own whiskey. 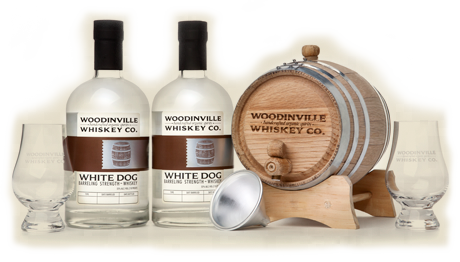 With two 250 ml bottles of White Dog un-aged whiskey, a 2 liter aging barrel, a funnel for pouring, two tasting glasses and instructions, this kit may introduce your dad to a new hobby while leading to a future filled with glasses of homemade, perfectly aged whiskey. Basically its a gift that benefits all. Bellroy wallets are minimalist, simple and sleek which makes it hard to choose one that your gift-recipient won’t like. 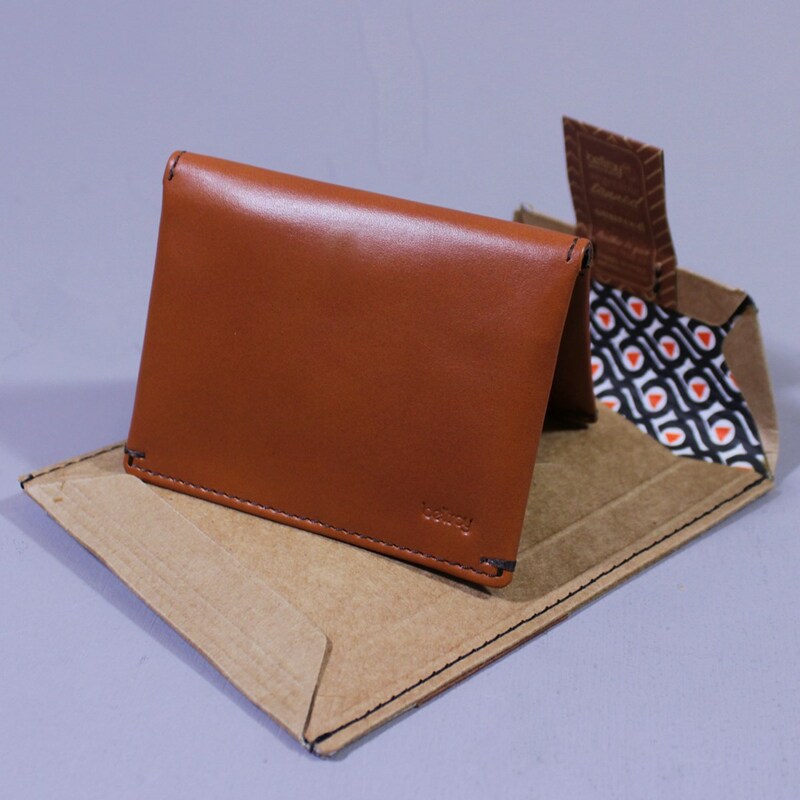 Crafted out of vegetable tanned, premium cow leather, they are designed to fit all of your cards and cash in a tight little leather sleeve, reducing bulk with the ability to fit neatly in your pocket. If seeing your dad’s chunky, messy, cluttered wallet drives you crazy then consider getting him (and yourself – they are unisex) one of these timeless wallets.